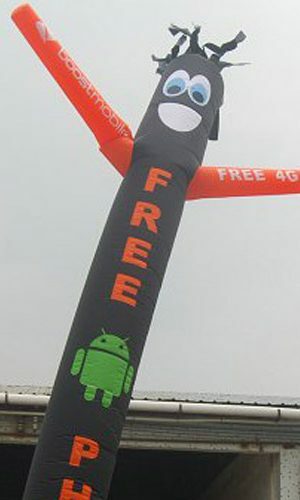 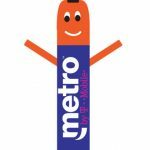 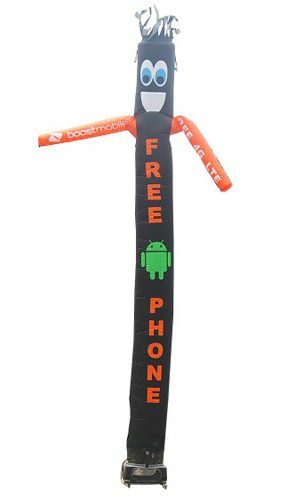 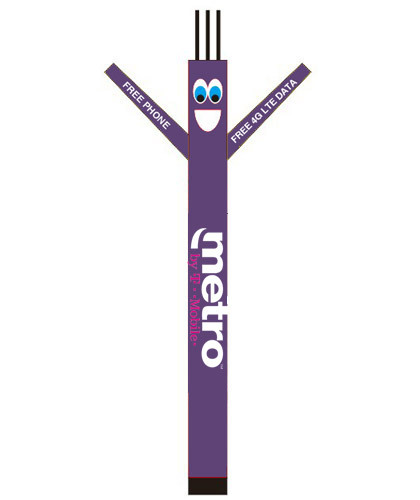 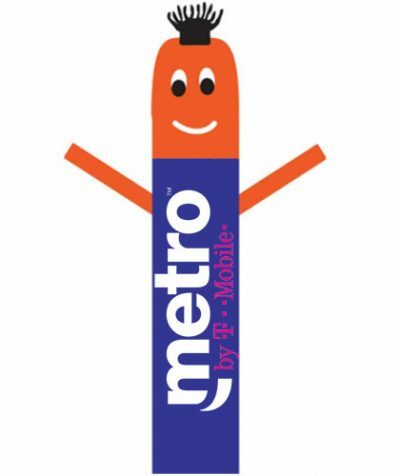 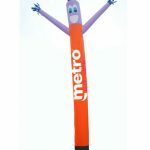 Metro pcs Dancing Inflatable Balloon comes with printed on it. 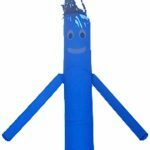 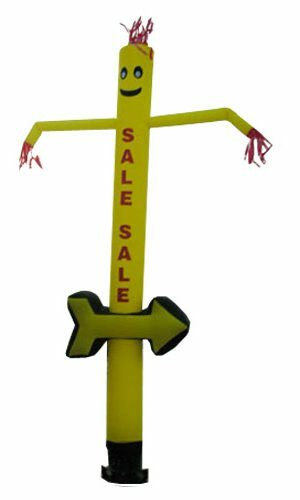 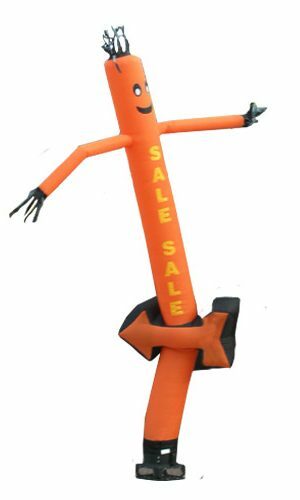 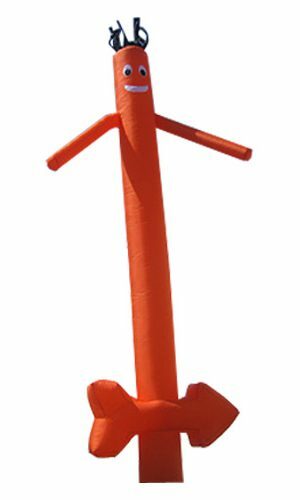 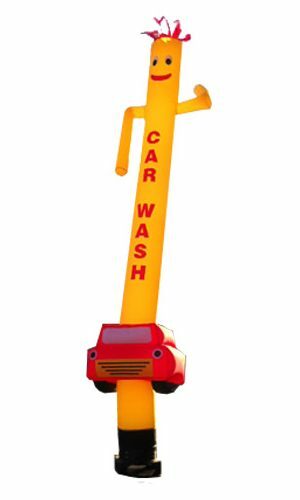 The quality and material used in manufacturing in this Dancing Inflatable Balloon is one of the finest material used with Fade Resistant. 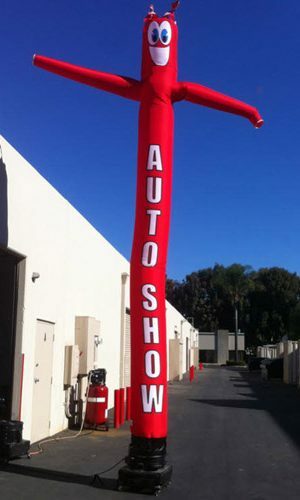 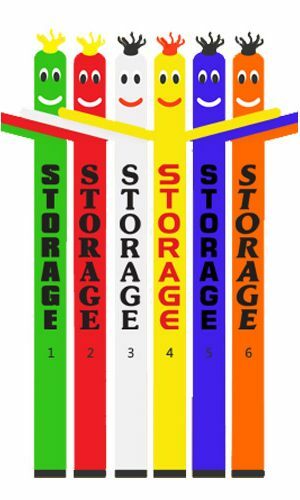 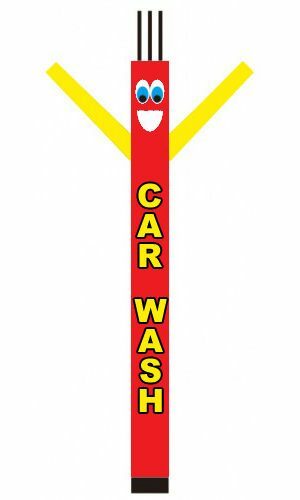 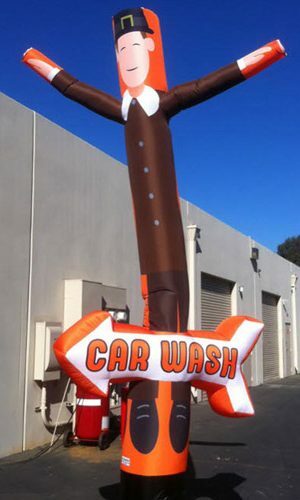 This product will significantly boost your business and will be seen from miles away.